Couple days ago we've rolled out another one update of our Cherry Framework, now it's a 3.0.1 version. Since WordPress released the new version of it's engine (3.8) we had to act fast, to make sure that our frame is compatible with the latest release of an engine. Cherry Framework 3.0.1 is fully compatible with WordPress 3.8. We've fixed connection of "Open Sans Condensed" and "Helvetica". Fixed the bug with pagination on portfolio and testimonial pages, if either of them was set as a front page. Fixed connection of ID portfolio-loop.php file, now it can be rewritten. Even though there are just a few updates, each of them brings perfection of Cherry Framework one step closer. Stay tuned, for not to miss our next upgrade. Hi, I installed the recent framework but now I can’t access to the theme option in the dashboard. I see the theme 46379 is not recognizing the main styles sheet. What can I do? I’d like to access to the theme option at dashboard to reinstall and check what is happening but is not possible. Hi Ericka, please send your website details to our team at [email protected]. I wish someone would fix the read more option. All it does is produce a line. I could get a lot more page views if it worked. And now my slide show has stopped working for some reason. Please send your WordPress admin panel access details to [email protected] We’ll provide you with necessary assistance. I have an issue. I get nothjing but spam on my blog, my site is the goto place for viagra and car insurance quotes. I would like to turn off everyone, but me, to have the ability to post messages. I know I have to pre-approve the messages before they are posted…. but I’m getting tired of the spam. Hi Joe, you can configure comments in WordPress Settings > Discussion section. I buy the template n°46382. When I buy it, Cherry framework was in 2.3 version. When I upldate it, in 3.0.1 version, Shortcodes dosen’t works !!! Have you an issue for this problem. Please make sure cherry plugin is installed and activated. If it’s not available in WP admin panel / plugins copy it from CherryFramework archive/includes directory and install through Plugins > New. Isn’t there a Cherry Framework forums for users to help each other? The turnaround time to have to file a ticket, wait for an answer, and then not get an answer because I’m not will to give admin access, is soooooooo painful. I can’t wait days for a simple answer. How can I customize get_post_metadata in Cherry Framework’s functions.php to modify the output of the author links? I don’t want modify the entire function, I just want to customize the author links without modifying the framework itself. Link can be disabled in Cherry Options, unfortunately it can not be changed without affecting framework. Do you have a backlog of older versions of Cherry Framework? I need version 1.2 to get a theme working. When I update to 2.4 it stop working. 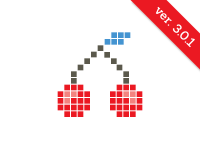 Old versions can be downloaded here https://github.com/CherryFramework/CherryFramework/releases. Unfortunately version 1.2 is not available. Hi, I want to sell wp themes on themefores or templatemonster using this framework. is it free if i use it for commercial project? Can I change the bootstrap using Bootstrap v3? CherryFramework uses Bootstrap 2.3 now. You’ll need to perform additional code updates to use BS3, also framework updates will be unavailable. As for the commercial projects – yes you can use CherryFramework for commercial projects. Why can’t I update WordPress to the latest version with any of the themes I get on Monster templates using Cherry Framework? I would always get a TinyMCE shortcut error? Please try to switch to default WordPress theme and then update WordPress. Then switch back to your CherryFramework theme. There shouldn’t be any issues with update. In any case we’ll provide you all necessary help if needed. Hi, I installed the recent framework but now I can’t access to the theme option in the dashboard. Cherry Framework has no automatic update feature. It can be uploaded only manually. Maybe it got updated along with the Cherry theme. What is the proper way to update the ‘style sheet’? When I make edits/modifications to main-style.css it gets over written any time something gets changed in the WP Admin under “Cherry Options”. How do you update the .less file?